For the Cleveland brewery, the eclectic neighborhood matched its desire to experiment with coffee. Since its founding in 2014, Cleveland-based Platform Beer Co. has been taking the beer world by storm. Starting with its brewpub in Cleveland, Platform has continued its Ohio expansion, first with an additional tasting room in Columbus and then with a full-size production facility in its hometown. In February, Platform expanded its reach by opening the doors to Locoba by Platform in OTR. Unique from the brand’s other locations, this one is not merely a taproom. Locoba—an acronym that stands for “local coffee barrels”—is the first of its kind for Platform. Providing a centric experience, the location serves both coffee and beer that has been aged in whiskey and bourbon barrels. The raw coffee beans are stored in the barrels for about 18 months before being roasted by roasters throughout Ohio. 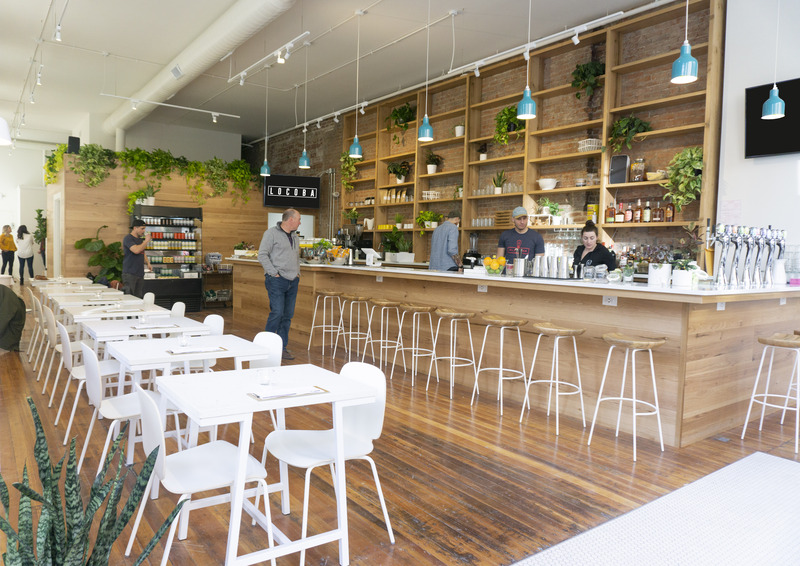 Some of Locoba’s coffee drinks include espresso and lattes, along with a matcha latte. A coffee-infused beer, Coffee Lawlessness is a porter brewed with coffee beans provided by Cleveland-based Phoenix Coffee Co. The tasting room also serves Platform’s already well-known brews, like Speed Merchant, a white IPA brewed with fruity, dry hops. 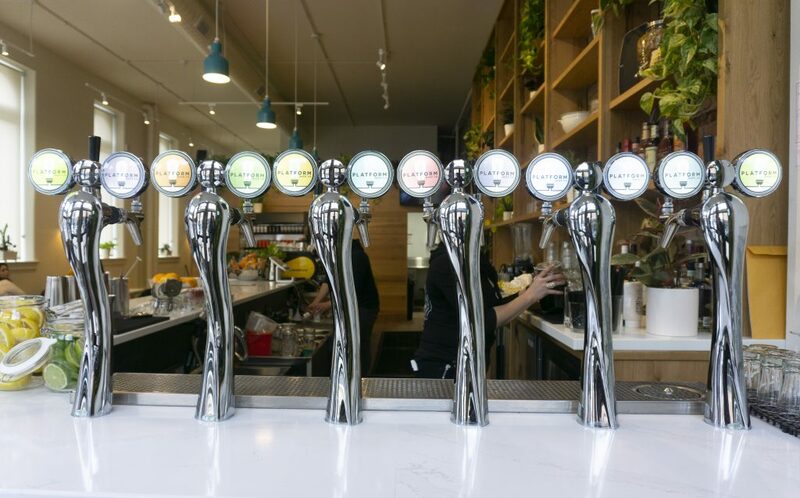 Setting itself apart from other taprooms in the area, the tasting room offers food all day on a rotating menu, with an emphasis on lunch-friendly grub. The grab-and-go cooler has decent-sized salads, including superfood and Caesar, along with wraps like the Capri, stuffed with hummus, cucumber, red onion, romaine, and goat cheese. 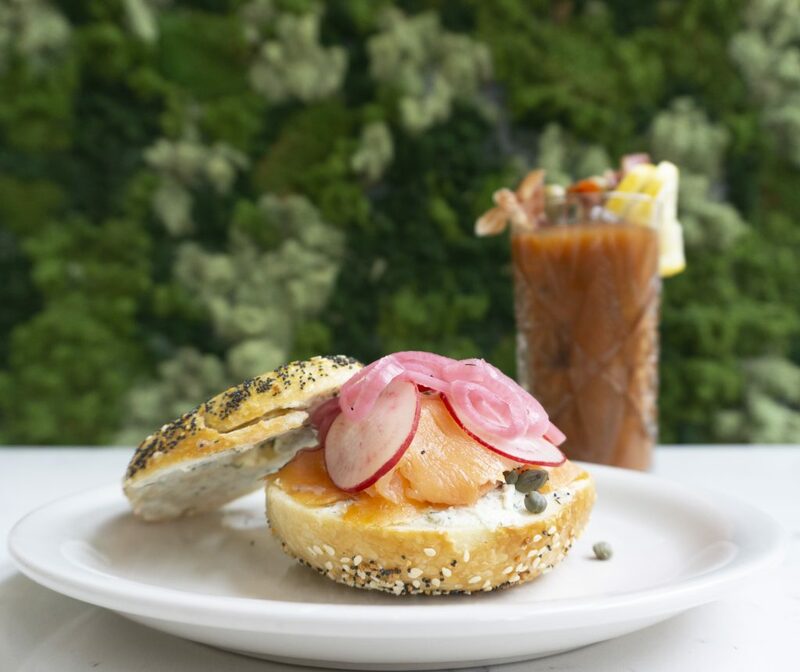 Locoba seeks to be a brunch hot spot on Saturdays and Sundays from 10 a.m. to 2 p.m., serving a standout lox bagel, served on a Bagelry OTR everything bagel with house dill cream cheese, red onion, capers, radish, and smoked salmon. Platform has been selling beer in Cincinnati for more than year, and because the neighborhood was where Benner found himself hanging out frequently to enjoy the restaurant and bar scene, it was a great match for the brand. “It really felt a lot like our Cleveland neighborhood where we opened our first pub,” Benner says.